Perched near Four Seasons Resort Nevis’ sprawling golf course, these spectacular villas pave a path to complete serenity and luxury. With a backdrop of lush flora and gorgeous views of Nevis Peak and sister island St Kitts, these residences evoke an idyllic ambience. With most boasting a full-size or plunge pool within their private garden, you can enjoy the Caribbean sunshine in utter seclusion, making you feel like the only ones on the island as you relax in your stylish indoor and outdoor living areas. These villas are the perfect island treat. All boast classic yet contemporary Caribbean-style décor, which blend beautifully with the tropical flora that surrounds them. Ranging from two to five bedrooms, these are ideal for bigger families, or a large group of friends hoping for a sun-soaked getaway together. With a myriad of living space and such large gardens, each villa feels wonderfully spacious. 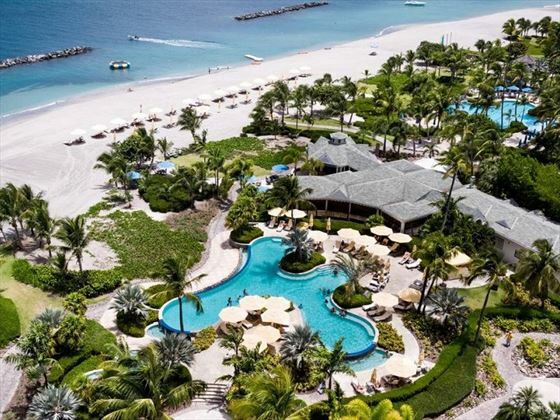 You’ll have access to Four Season Resort Nevis’ opulent amenities and facilities too, including your own private golf cart, a myriad of divine international restaurants, a sensational spa, and three infinity-edge pools. 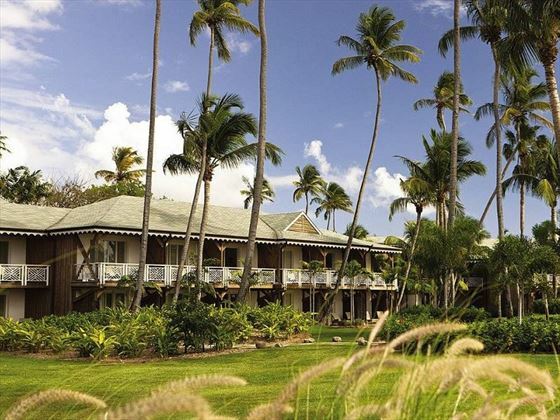 To find out more about the resort facilities, head to our Four Seasons Resort Nevis page. 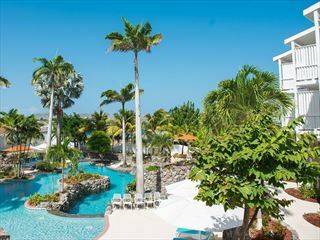 Palm Grove Villas – Close by to the 18-hole golf course, these villas benefit from gorgeous Nevis Peak views. The villas range from two to six bedrooms, and nearly all feature its own pool and sun deck. You’ll also receive a six-seat golf cart to get around easily. Sleeps a maximum of 11 adults, or six adults and five children. Sunset Hill Estates – These brightly coloured two to five-bedroom villas are just a four-minute golf cart journey from the resort, boasting incredible sunset views of the ocean and golf course. 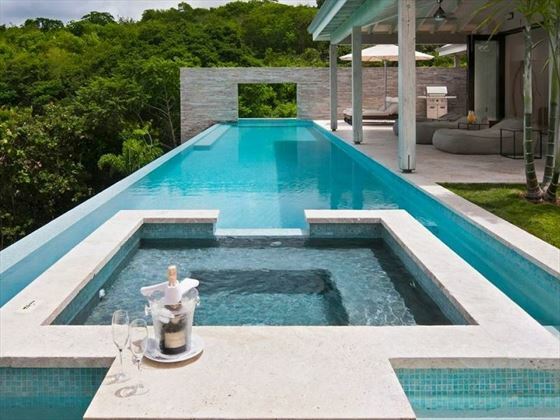 These villas feature spacious indoor and outdoor living spaces, all with secluded private pools. A six-seater golf cart is also provided. Sleeps a maximum of 11 adults, or six adults and five children. 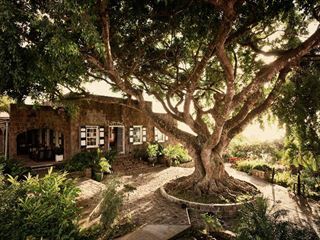 Mahogany Hill Estates – These villas are wonderfully secluded, perched in a private enclave high up on the mountain. 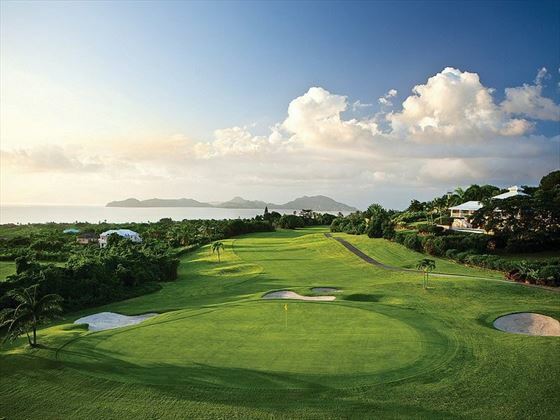 Inspired by British West Indian plantation homes, the villas are utterly charming, boasting unsurpassable views of the ocean, the golf course, and St Kitts. 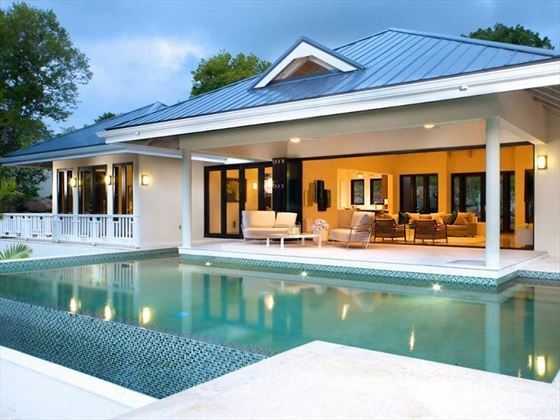 Featuring four or five bedrooms, a private pool, and a six-seater golf cart. Sleeps a maximum of 11 adults, or six adults and five children. Belmont and Stewarts Escapes – Just a six-minute drive from the resort, these villas are incredibly luxurious. 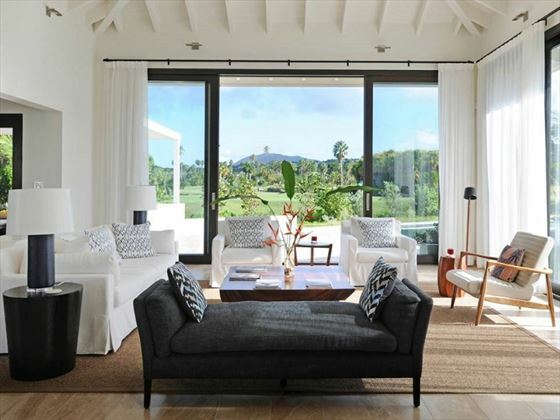 You’ll be blessed with views of St Kitts, Nevis Peak and the golf course, and each villa has open-plan interiors that lead out onto a covered porch, sundeck and pool. Featuring three bedrooms, with the ability to also connect an adjoining guest cottage. Sleeps a maximum of 10 adults, or six adults and four children. Pinney’s Beach Villas – These gorgeous villas boast contemporary style, nestled within a Mediterranean-inspired courtyard which is sat between the green lawns and water features of the golf course. They are only a short stroll from the resort and the beach, offering wonderful views of golf course and Nevis Peak from the vast outdoor living areas. Featuring three or four bedrooms, and a pool. Sleeps a maximum of 10 adults. Ocean Terrace Inn cascades down a lush terraced hillside to the water’s edge, with spectacular views of the Caribbean and neighbouring island of Nevis. Ideally located within walking distance of restaurants, shopping, cultural and historical sites.